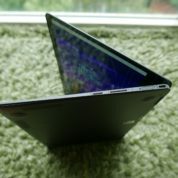 When I first saw the Asus ZenBook Flip S last year, I was impressed by how slim and portable this convertible notebook was. Now updated with a new eighth-generation Intel chip, it retains its sleek design and handy flip-around touch-screen. For business travellers, this is one laptop that will surely catch the eye. 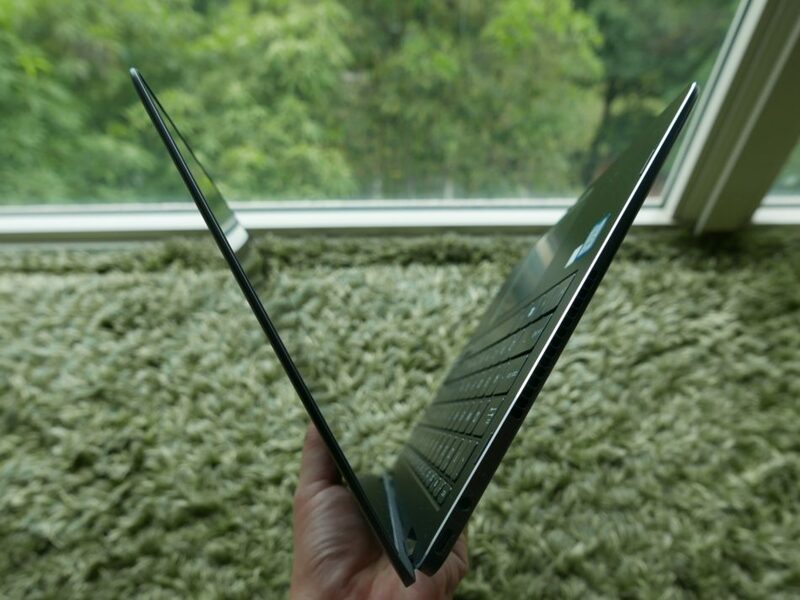 Pick it up the first time and you’ll understand why Asus boasts that this is the world’s thinnest convertible laptop. 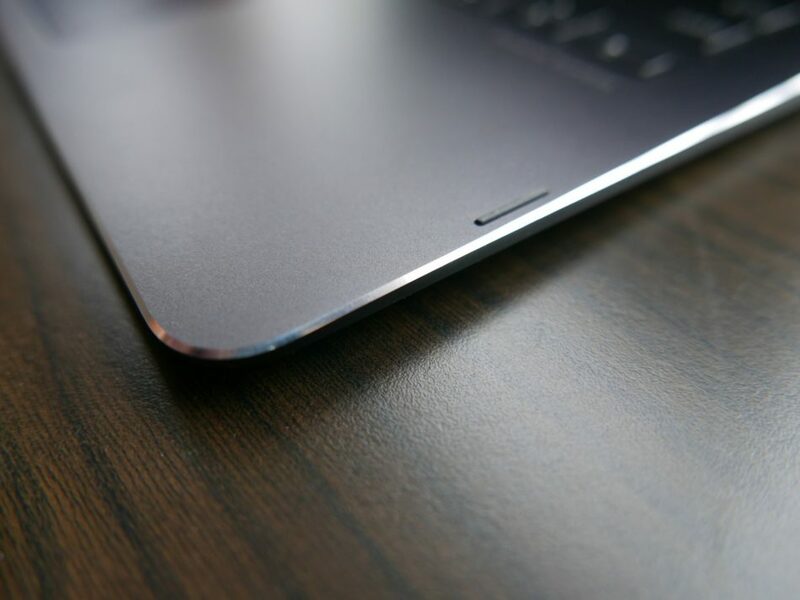 At just 10.9mm thin and weighing 1.1kg, the ZenBook Flip S is slimmer and lighter than some basic ultrabooks without its two-in-one function. 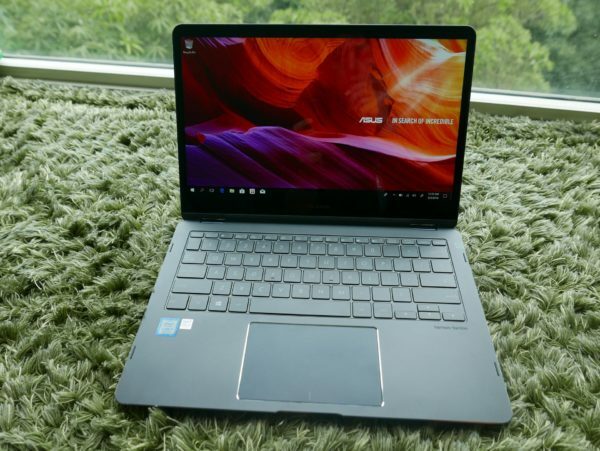 On this flagship laptop, Asus has decided to go with a matt finish instead of its well-used design with concentric circles grooved into the surface. 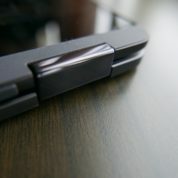 It still feels premium, especially with some neatly cut edges that show off the metallic body. Nothing seems out of place here in a machine that could pass off as one of the best looking around. Yet, the biggest talking point is the hinge. Though not overly bulky, it manages to keep the two separate pieces of screen and body together even as you flex the screen from clamshell laptop mode to tablet mode. 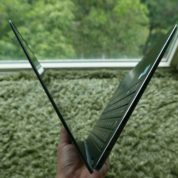 I actually tried to flex this many times at one go – sorry, Asus folks – and I have to say the joint feels steady and reassuring despite my best efforts to stress it out. Asus claims it has been torture-tested by more than 20,000 times of opening and closing, so I’ll take its word that the laptop will withstand my dozen or so times of flexing. 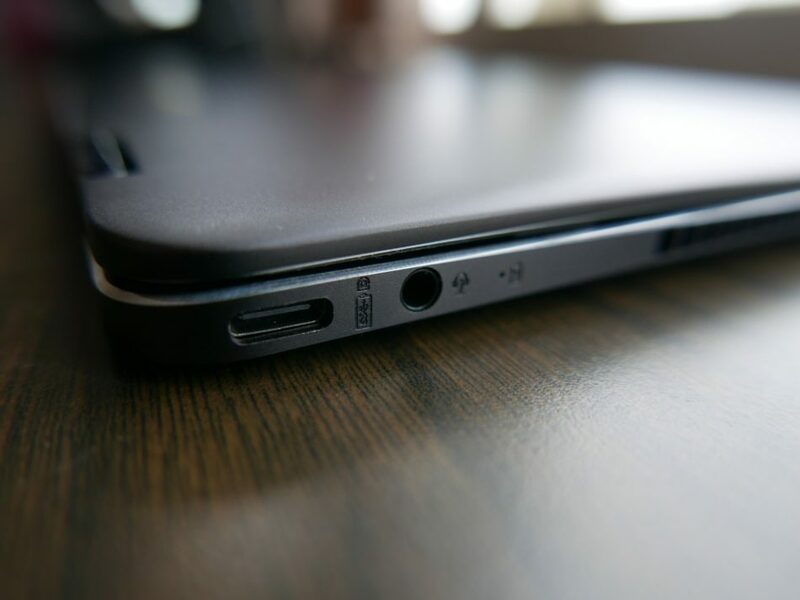 What I also like about the design is that Asus has managed to squeeze a couple of USB-C ports and even a fingerprint sensor on either side of the laptop. This lets you connect your phone, which is important if you want to backup stuff or transfer files. And if you want to plug in an old USB drive, there’s a neat little USB hub that is included in the box. So, no need to speed another US$50 for one. 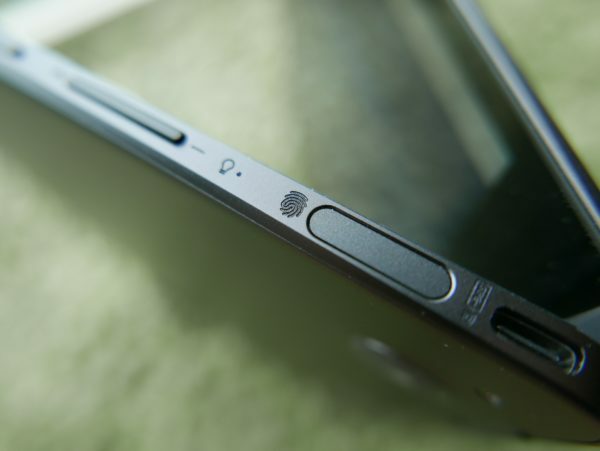 What I’m not so sure about is the fingerprint sensor placed awkwardly in a corner. It’s not easily reachable. I guess that’s something useful if your company relies on biometrics for logging in. I am pleasantly surprised, however, by the full-sized keyboard that provides decent tactile feedback. It isn’t the best to type on, to be sure, but for a laptop this size, the promised 1mm key travel does well for a quick e-mail or two. 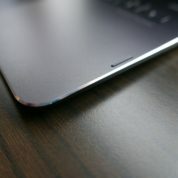 The comfortably large touchpad is a highlight as well. 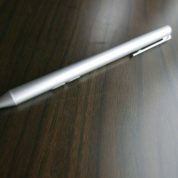 For me, Apple’s Macbook touchpads set a high bar, though the Asus one here does a more-than-decent job as well. It lets me move across the screen swiftly and without fuss. If you use your laptop in cramped spaces, like on a small coffee shop table or in a cattle class seat on a plane, this will be a handy tool. 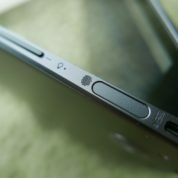 Asus also has a stylus included with the touchscreen. Trying it out with a brief doodle and scribble on Autodesk SketchBook, I find it still lacks some of the subtlety on the Apple iPad Pro stylus or even Microsoft’s stylus for its Surface Pro. 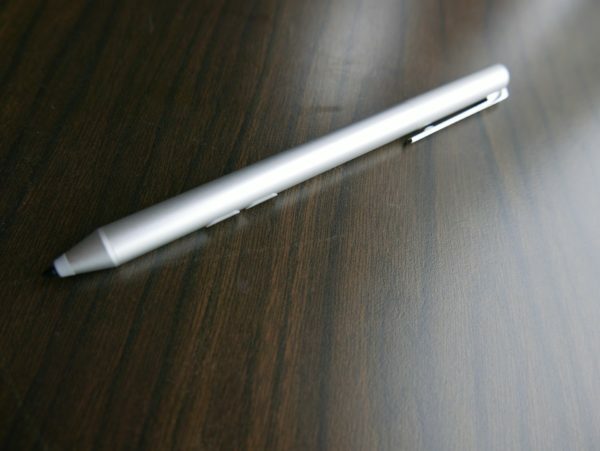 Yes, it is fast and swift, but when you slide your pen at an angle, it doesn’t register the slight nuances you’d expect from an actual pen. Perhaps that’s not its main selling point. 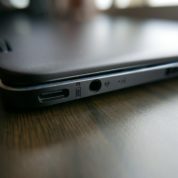 To pitch the ZenBook Flip S to power users, Asus has packed the Singapore version with some solid hardware. You get a high-end Core i7-8550U processor, a good 16GB of memory and a 512GB solid state drive running on the fast PCIe interface. This is reflected in benchmark tests I ran on the laptop. With PCMark 10, which measures performance in everyday tasks like spreadsheets and videoconferencing, it scored 3,710 for the Home subtest and 4,880 for the Office subtest. This is actually slightly better than a fully decked-out gaming laptop from Asus last year, which also sported a Core i7 but had 32GB of RAM. 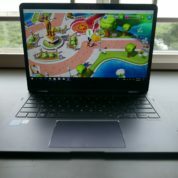 So, the ZenBook Flip S is an able workhorse for office productivity. However, it isn’t for games. 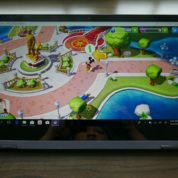 With 3DMark, a benchmark test that simulates games, the laptop’s modest Intel UHD Graphics 620 struggles a little, but that’s to be expected for a laptop aimed more at business users. In 3DMark, it came back with a score of 284 for the Time Spy subtest which measures DirectX 12 game performance. That’s low but still better than last year’s Asus ZenBook 3 Deluxe ultrabook, which came in with a score under 400. 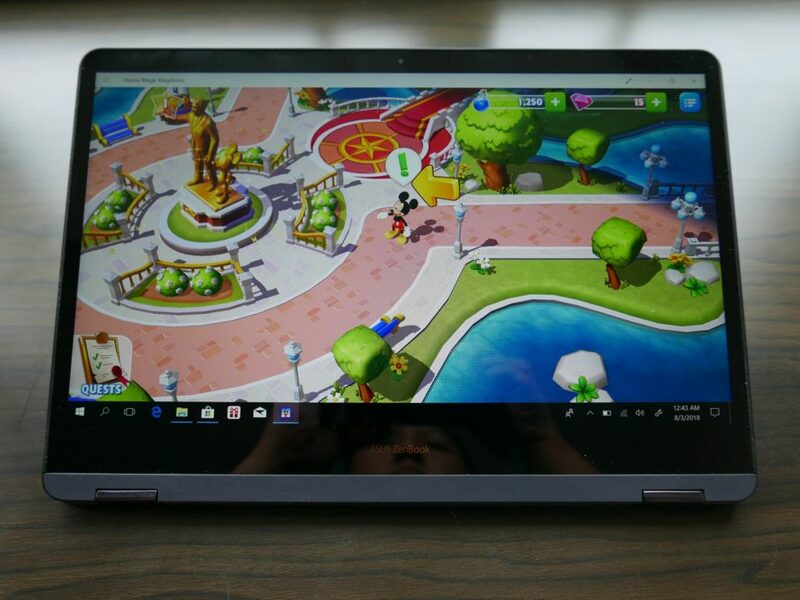 In comparison, a top-notch gaming laptop scores more than 5,000 in this test. In the other less demanding 3DMark subtests, the ZenBook Flip S performed as you’d expect of an ultrabook. It certainly isn’t made for challenging visual-heavy games, with very modest scores of 772 in Fire Strike, 2,794 in Sky Diver and 5,495 in Cloud Gate. Inevitably, the high performing components, especially the Core i7 chip, mean that the thin laptop can run hot. Just take note if you are placing it on your lap. At full tilt, the fan is also audible, though not annoyingly so, thankfully. What I’m a little more disappointed with is the 13.3-inch Full HD screen. While the contrast is great like most high-end Asus laptops, and the sharpness seems okay on desktop apps, you wonder if the Taiwanese firm could have opted for a 2K or even 4K display instead. This will be more apparent in tablet mode, when you have large icons and when you tend to be closer to the screen. Regular Android tablets have gone on 2K screens for a while now, so you’d expect things to be sharper. 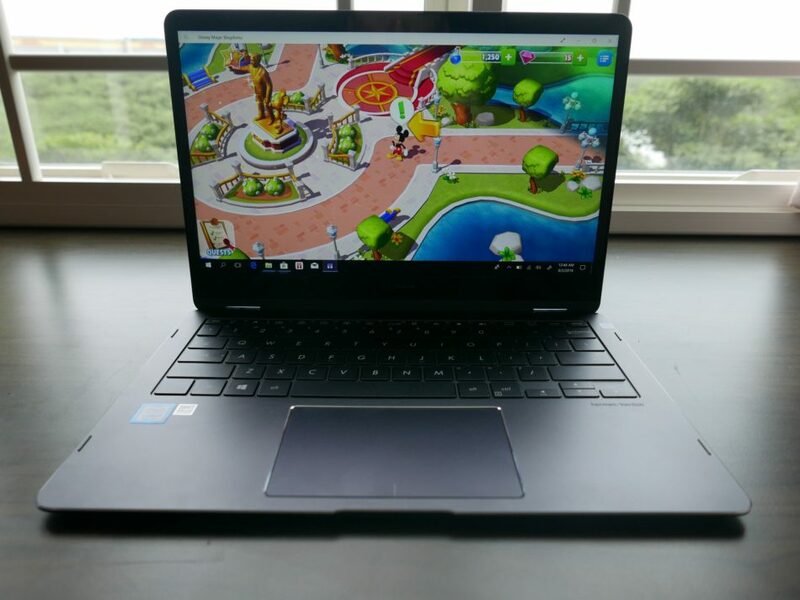 Clearly, Asus has gone for hardware performance instead of screen sharpness in this S$2,498 model of the ZenBook Flip S for Singapore. 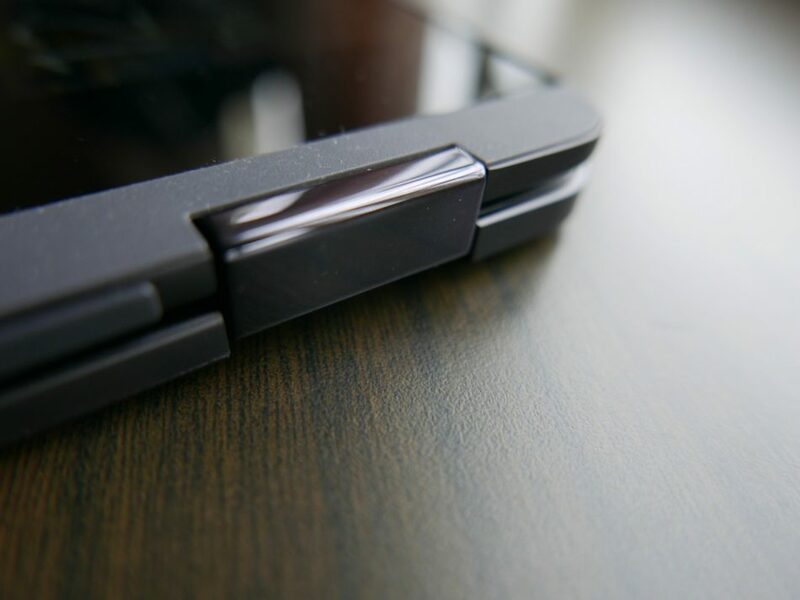 There are other options for sharper screens, as indicated at its unveiling in Taiwan last year, but it looks like we won’t have them here. 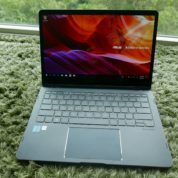 I’d still say the ZenBook Flip S version I reviewed is a great travel companion, thanks to its versatility and solid performance. 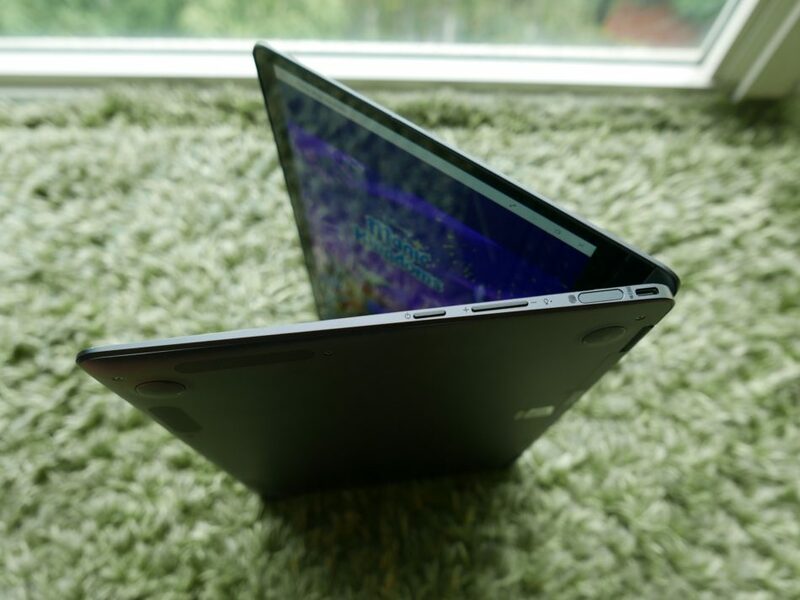 However, if you want a better screen, Dell’s similarly-priced XPS 13 2-in-1 sports a sharper 3,200 x 1,800 display. You’ll have to go with a slower seventh-gen Core i5 processor, and half the memory and storage, though. To have similar performance with Dell, be ready to fork out another S$500, or about S$3,000. Why cant I buy one anywhere in Brisbane? I want the i7 8th Gen in Blue. no One can sell me one..